You can easily save this to your computer and then attach it to any email you want to send. 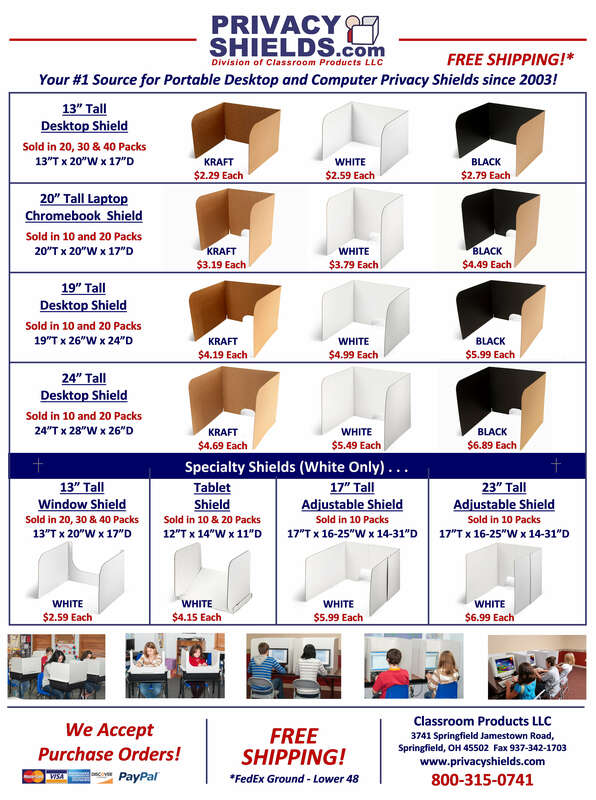 We’re sure your schools and teachers will love our desktop study carrels (privacy shields) and computer partitions (computer privacy dividers). Which Privacy Shield Should I Buy? WHICH SHOULD YOU BUY ? Please contact us by phone, fax, email, or through the form below. © 2019 PrivacyShields.com , A Division of Classroom Products LLC. All Rights Reserved. to PrivacyShields.com . . .
Our vendor name will still remain Classroom Products LLC.